Nationalist MEP David Casa on Sunday 'categorically and unreservedly' denied 'obscene allegations' by a former aide that he had taken drugs, and offered to take drug tests. "Not only will I submit to a drug test but I will also commit to regular drug tests - on the condition the Labour Party parliamentary group agree to do the same." His staff also sprang to his defence, saying in a statement that they had never witnessed any of the allegations made. Malta Today quoted an unnamed former aide as saying in a sworn statement that the MEP suffered from a cocaine habit between 2009 and 2017. He described how Mr Casa would be surrounded by friends and aides, with whom he would also share the drugs, particularly during weekends in hotels. 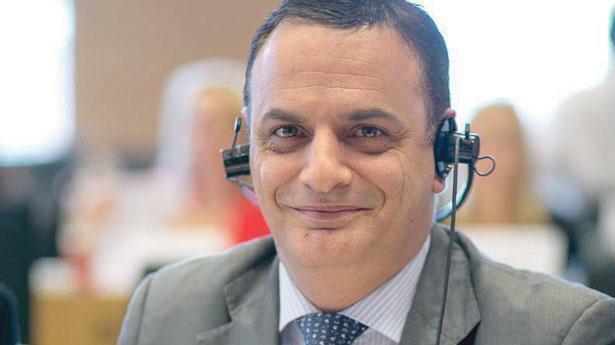 In his reaction, Mr Casa observed that over the past months he had been threatened with criminal action by the FIAU, civil action by Keith Schembri’s lawyers and had been subjected to a coordinated, vicious hate campaign in which PL activists have called for his hanging. Recently, he was also subjected to a campaign in which he was accused of abusing EU funds – now proven to have been a complete fabrication. "It is condemnable that this latest attack appears to be timed to draw attention from the events being organized on the occasion of one year from the assassination of Daphne Caruana Galizia and the new revelations of the Daphne Project related to Chris Cardona. "It appears that the Labour Party will stop at nothing to have me eliminated. These attacks only increase my resolve to continue my work with more energy than ever before," Mr Casa said. Separately, his staff said they had always experienced, exemplary, professional and dedicated behaviour from Mr Casa, whose work ethic and commitment to his causes was why they chose to be employed in his office. "We are disgusted by the incessant efforts to tarnish Mr Casa’s reputation and prevent him from continuing his work. We stand by MEP David Casa," the employees said. In a separate reaction to MaltaToday, Mr Casa also hit out at the former aide, saying he had a gambling problem and ran up considerable debts as a result. In a reaction, the Nationalist Party said it does not tolerate any illegal behaviour from any of its members of parliament. Furthermore, it expects the highest of ethical standards in their conduct. "David Casa has categorically denied all allegations and has informed the party that he is seeking advice on whether he should take legal action," the party said.